Metal roofs look fantastic, they’re durable and they’re cost effective. 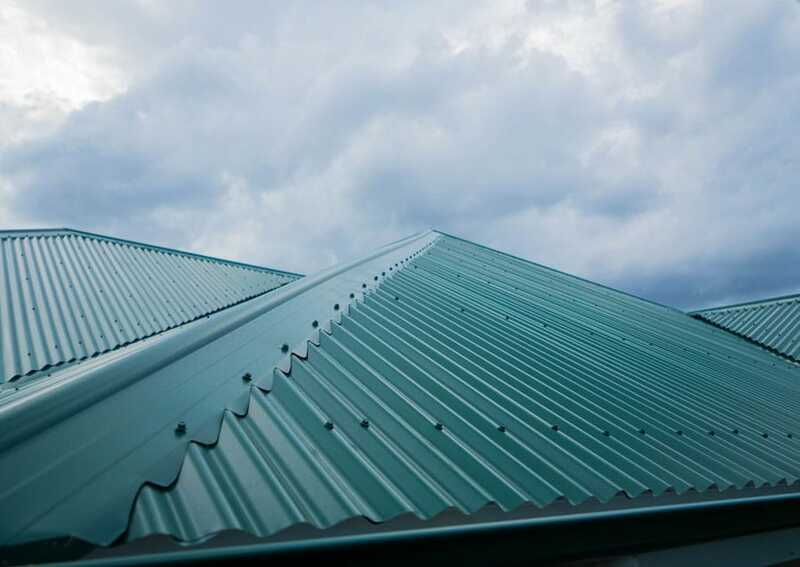 With the right metal roofing on your Brisbane home, you’ll also get the benefits of comfort and better energy efficiency. If you’ve been looking for the best company for metal roofing Brisbane wide, look no further than Strongguard. Here at Strongguard, we specialise in providing great metal roofing solutions across Brisbane and Southeast Queensland. We can help you with any roofing problem, whether you need repairs, routine maintenance or a new metal roof entirely. Metal roofs across Brisbane can take a beating, especially during a big storm. To ensure that you’re covered, we repair all types of metal roof damage – even extensive storm damage. If you think that your roof is too far-gone to be restored, then we can arrange to installation of a brand new one. For greater durability and visual appeal, we only use quality Australian steel with every roofing repair or replacement. At Strongguard, we’re committed to delivering quality metal roofing services. We only offer the highest quality materials, whether it is for a small repair job, or a complete roof replacement. All of our metal roofing products come from BlueScope Steel. BlueScope Steel is an Australian owned company that supplies the likes of COLORBOND® Steel and ZINCALUME® Steel products. These are unrivalled when it comes to looks and quality, so you won’t have to worry about rust or deterioration. Being a Queensland owned company, Strongguard is familiar with the unpredictable weather of Brisbane. With this in mind, we place our trust in the products we supply, and we know that they are up to the challenge. With over twenty years of experience, the team at Strongguard is aware of the different types of roofs across Brisbane. We’re very familiar with the approach and products necessary to deal with all types of roofs, including low-pitched and flat roofs. 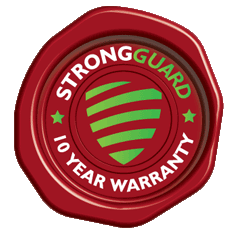 For anyone after roof/gutter repairs, maintenance, repaint etc – particularly on a two story house, we highly recommend Strongguard. They used good quality materials (better than we expected), turned up on time – every day, completed all the work inside the time frame they gave us, provided a lot of good advice and were really pleasant and professional and a big plus for us – cleaned up after they were finished. Going from the old red tiles and guttering to a really nice updated stone colour has changed the look of our home completely and has saved us a lot of money on work we actually don’t now need to do. We would happily use them again. Well done Tim, Ray and team. Amazing people. I am so grateful for the awesome job Strongguard did on my gutter. Brilliant, very professional, on time and extremely competitive quotation. A+++++++++ Thanks again Tim, Rachid and Bianca. I wanted to tell you we were very happy with your company. Ray was simply great! He explained all the procedure to all, and was extremely efficient. We were particularly impressed with the amount of care he took to give us a clean and quality finished job. Often, the metal roofs we replace are on older homes such as classic Queenslanders or pre/post war cottages. In fact, we have encountered roofs that are more than one hundred years old. In these cases, we need to take extra precautions to ensure the best outcome for you and your property. In addition to dealing with old roofs, we frequently replace the storm damaged roofs of modern architecturally designed homes. With such a diverse array of roofing designs and conditions, we have to adapt and meet the individual needs of each job. If you come to us for a new metal roof, the first thing we do is measure your site. This gives us a good idea of what the job will entail, and it allows us to give you an accurate quote. We will send this quote through to you and you can consider it and assess your options. If you confirm the quote, then we will begin by setting up the job site. This involves erecting all the necessary safety guardrails and getting your roof prepared. Once all of our safety equipment has been set up, we will start removing your roof in manageable sections. If we encounter any asbestos, we will remove it and dispose of it in accordance with local regulations. We do this to ensure your safety, and the safety of our tradesmen. As we remove each section of roof, we will inspect the supporting structures. If we see any rotten, split or damaged battens, we will replace them. We will then re-screw the battens and tie down the rafters to the top plate using galvanised strapping. Finally, your site is ready for the new metal roofing to be installed. We install every new roof complete with new scribed ridges, valleys, flashings and fastenings. With Strongguard, your metal roof won’t just be replaced – it will be improved. Once all the new metal roofing is installed, our team of Brisbane roofers will remove all the rubbish. We aim to provide a complete service and we see cleanliness as a large part of this. If you would like to have your metal roof restored, or replaced all together, then contact Strongguard today. We offer Brisbane’s most comprehensive range of metal roofing solutions. For every metal roofing job we do, we use only the highest quality Australian made roofing products. This ensures great durability and looks. To get in contact with us, simply lodge an online enquiry or call our office today. #1 What will you do if I have broken roof battens? Battens are a vital part of your metal roof’s structure and it is imperative that they are in good condition. However, it is not always easy to see the extent of any damage to your battens while your old roof is in place. That’s why we take great care in inspecting your battens during our roof replacement process. As we remove each section of roof, we thoroughly check the supporting structures. 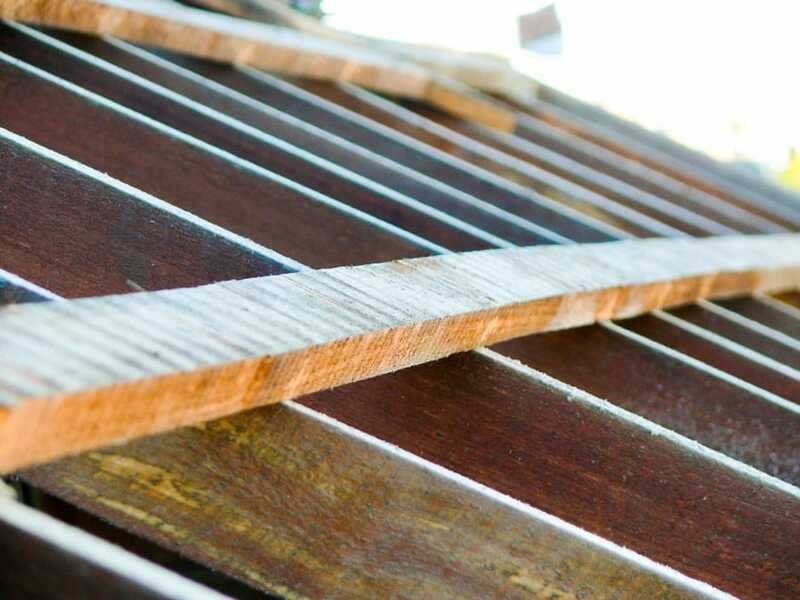 If we see damage or deterioration in your roof battens, then we will replace them. We replace the first thirty metres of battens free of charge, although we do start charging for replacements beyond this. Our estimators will let you know the rate for batten replacements exceeding thirty metres. Replacing broken battens is of paramount importance, as it will ensure that the installation of your new metal roof is done the right way. #2 How much will a new metal roof cost? There are many different factors that contribute to the cost of a new metal roof. Size is the most notable of these factors and it determines how much roofing metal we need for the job. When we replace an average sized Queenslander-style home, it usually costs between $10,000 and $15,000. Of course, size is not the only contributing factor to cost, however. The type of roof that is on your home will also play a large part in the cost of your new metal roof. Certain roof designs are a little harder to replace, which means that they can be more costly. Accessibility can also determine the ease with which we can replace your metal roof. 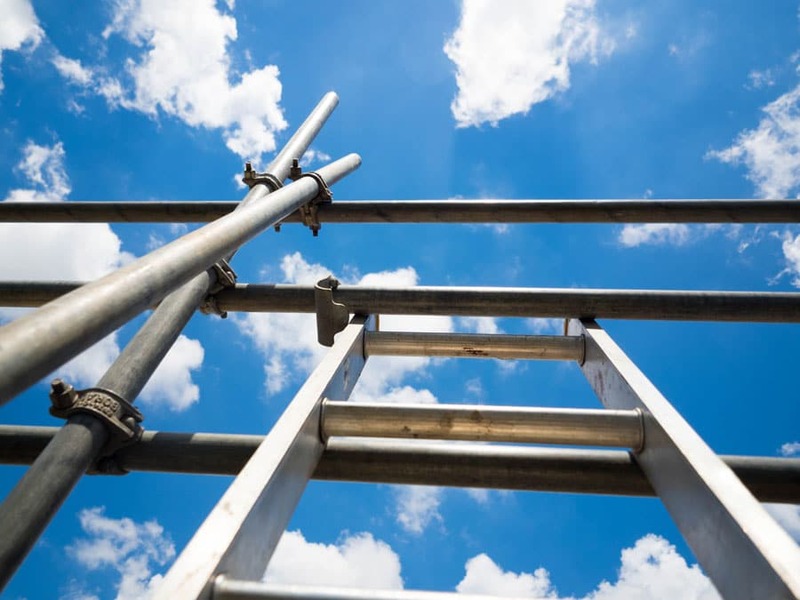 Extremely high roofs, narrow blocks and poor access all contribute to slow the process down, which requires more work and can cost more as a result. Finally, the extent and nature of any damage in your old roof structure will also have a role in the cost of the replacement. Badly damaged or deteriorated roof structures require more extensive repairs before the new roof can be installed. This means that more work and materials will be necessary, which can increase the price sometimes. #3 Can you install insulation in my new metal roof? When you get a new metal roof, it is the ideal time to install insulation. Insulation is particularly important in an area like Brisbane. It gets quite hot here in summer, but also quite cold in winter. With insulation, your home will be warmer in winter and cooler in summer. This is good for two reasons. Firstly, it improves your comfort on those particularly hot or cold days. Secondly, it improves the energy efficiency of your home. A well insulated home will require less air conditioning and heating. As a result, you will probably find yourself consuming less electricity in the hotter and colder parts of the year. This will save you money and contribute to the environment. Here at Strongguard, we can install your installation for you when we replace your metal roof. If you request it, we can install an Anticon insulation blanket beneath your roof. This will provide effective insulation, all year round. #4 Do I need a whirlybird on my new metal roof? Whirlybirds can be a very useful installation during summer and winter. They allow air to pass in and out of your roof, which can help stabilise the temperature of your home and keep it relatively comfortable. However, when the Anticon blanket is installed, the whirlybird does become a little less effective. This is not necessarily a bad thing though, because the Anticon blanket will regulate the internal temperature of your home instead. In fact, insulation can be more effective than a whirlybird in terms of maintaining comfortable temperatures. If you are finding it hard to decide between the two, then feel free to ask one of our specialists. We can assess your roof design and home design to help develop a solution that meets your needs. Our team is here to help and we have all the knowledge and experience necessary to provide you with targeted metal roofing solutions.